New York, 29 July 2013. 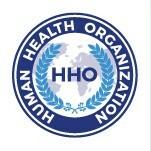 The Human Halth Organization convened health professionals in different fields and representing various regions of the world to its first Forum on Human Health, held at One UN Plaza, New York City. Participating at the forum were distinguished experts from the Center for Human Nutrition, Johns Hopkins Bloomberg School of Public Health, Baltimore, MD, USA; Nutrition and Education International (NEI), Pasadena, CA, USA; Department of Food Science and Technology, Federal University of Agriculture, P.M.B. 2240, Abeokuta, Nigeria; Public Health Department of the Central American University "José Simeon Cañas" (UCA); Department of Food and Nutrition, Seoul National University, Seoul, Republic of Korea; JSS MVP JSS Technical Institutions Campus Mysore – 570 006, India; Friedman School of Nutrition Science and Policy, Tufts University, USA; Rodale Institute; and Human Health Organization officers. A wide range of health topics and issues were presented and explored at the forum. Participants highlighted, in particular, nutritional challenges that are facing developing countries, underdeveloped societies and transitioning economies in Africa, Asia, and Latin America. They also outlined linkages between nutrition, health, wellness and sustainability for improving quality of life, from a conceptual perspective. The Forum delegates were offered an analysis on “Improving Nutrition in Poor Societies Through Evidence-based Policy And Action” by Dr. Keith P. West from Johns Hopkins Bloomberg School of Public Health. Dr. Steve Kwon, President and CEO of NEI, demonstrated a proving way of “Developing a sustainable soy industry in Afghanistan as a practical solution to malnutrition”. Dr. Adewale Obadina from Nigeria discussed the food safety and nutrition status in Africa, and suggested corresponding recommendations to improve the situation. Among other presenters were Dr. Selva-Sutter (UCA) who talked about “Effects of the global energy-alimentary crisis on health in Latin America”; Dr. Yoon (Republic of Korea) analyzed the situation with child nutrition in North Korea. Professor Prakash from India showed Policy Challenges for Vision 2019 with focus on Nutrition, Health, Wellness and Sustainable Networking for improving Quality of Life in Target Population; Dr. Steven A. Block (Tufts University) analyzed the correlation among “Economic Transformation, Nutrition, and Support For Agriculture” and calls for a better managed transition process, while Dr. Elaine Ingham, Chief Scientist from the Rodale Institute, revealed the linkages between Food Nutrition and Soil Health. The forum continued with a joint discussion, experts sharing additional information on major health topics and highlighting their connection with talks at the ECOSOC General Segment, held at the United Nations from 18 to 25 July 2013, in particular policy recommendations of the Committee on World Food Security. The Forum’s specific suggestions and certain practical program options will be taken into consideration by HHO in the process of formulation its plan of work and activities for the years ahead.